Having an online presence for your business is essential. The reality of the situation is that your competitors most likely have one too. So, how do you break through the noise and get found by more potential customers? displaying highly, or ranking, in the results list for search engines. When you enter a search term into any major search engine such as Google, Bing or Yahoo the results found by the search engine are displayed in order of relevance, also known as ‘search ranking’. The more relevant your page is to the search terms, the higher in the list you will appear, or ‘rank’. The higher your page ranks in searches, the more likely you are to be found and clicked on by potential customers! ‘My Business’ is a business information listing by Google, which is independent from your website (but can link to it). It gives potential customers important information about your business such as the physical location, contact information, open times, photos, reviews and even features your business on Google Maps. When your ‘My Business’ listing is displayed in a search result, it appears in a high visibility panel at the top of the search results page, giving your business a professional image and providing the best opportunity of being found by a potential customer. Beardbot has access to valuable data regarding which specific words and phrases (keywords) your potential customers are typing into search engines to find products and services just like yours. Armed with these keywords we can enhance the text content (copy) of your page to include these keywords, increasing your chances of ranking well for those specific searches. The more relevant content your page has that includes these keywords, the more likely your page is to be found by your next new customer! When your desired keywords have high competition it can make it hard to cut through the noise and rank well amongst your competitors. In these cases, an AdWords campaign may be your most effective option. AdWords campaigns allow your page to be displayed at the very top of the search results page, before all other results, and only incurs a fee if your AdWords link is clicked by a user. AdWords campaigns will get your page to the very top of the search results list, making your business the first choice for your potential customer! There is a common misconception that businesses can simply ‘optimise their website for Google’. In reality, it is not quite that simple. Search engines will only display a specific page from your website, rather the website as a whole. This means individual pages of your site can be individually optimised for different search terms to maximise the chances of your business being found! Need to know how your site stacks up in the world of Search Engines? Beardbot’s Traffic Analysis pack can give you the insights you need to know which pages of your site are achieving your goals or which pages can be improved to achieve maximum lead generation. Don’t have time to achieve all of this? Don’t worry! 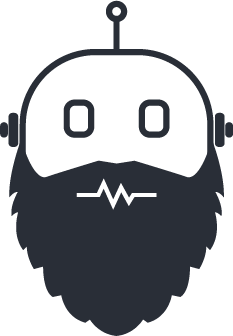 Beardbot can take care of all your Search Engine Optimisation needs. Drive more customers to your business and stand out from the crowd. Contact Beardbot for a free Search Engine Optimisation consultation today!